With all the crazy **** going on the world sometimes you need to engross yourself in something for yourself. 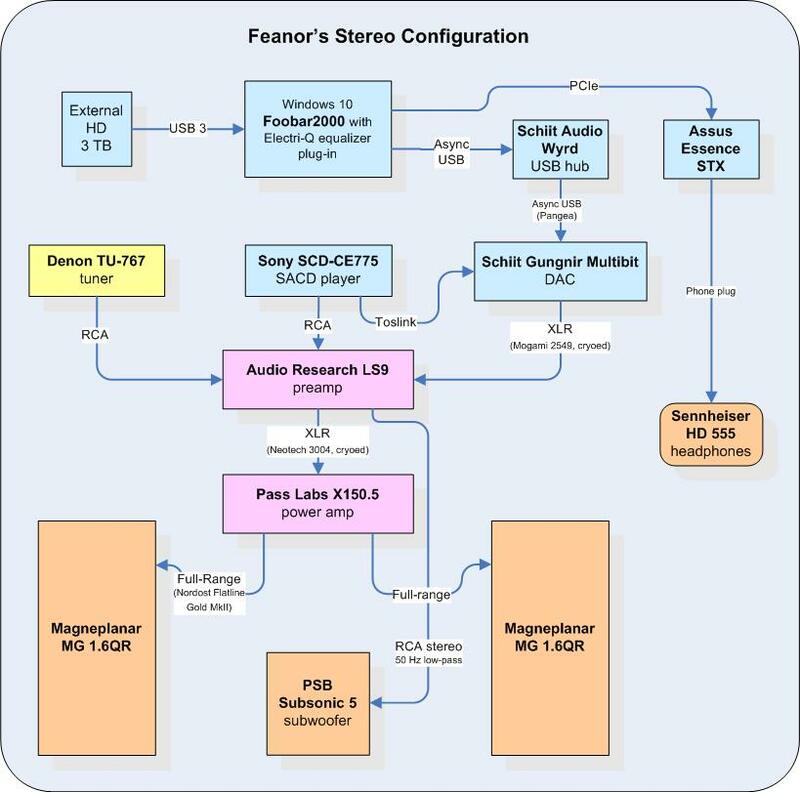 Music, movies, and upgrading the gear we play them on are prime examples. But July is gin and tonic month so I decided to try this simple drink for the first time. Gin and tonic water over ice with a squezze of lime in a glass tumbler is as easy as it gets. This makes for a refreshing drink on a hot day. I didn't know this going in but apparently there are 2 main taste profiles for gin. One is more herbal or vegetal and the other is juniper. I haven't familiarized my palate with these tastes yet but I'm working on it. I've tried Bombay Sapphire and Hendrick's. Both are good but different. I've tried Fever Tree and Fentiman's tonic water. FeverTree is a little sweeter. Not sure how these sodas compare to Canada Dry or other widely distributed tonic water. Anyhow, this drink is simple and refreshing-perfect for July. Now I am thirsty. I have some Bombay that I like but I am a big fan of and I miss my Tanqueray. Later when I go to the store a bottle may just follow me home. Gin, tonic and some fresh limes sounds mighty fine. I have another simple, tasty, warm-weather drink waiting in the wings for August. Like gin and tonic, it's been around forever, but it's new to me. I don't drink often (enough) so when I do I kind of make a little ritual out of it - research the different spirits, better mixers and ingredients. I'll post it next month and maybe a couple more I've made myself in the months after that. There are a couple of complex cocktails I really like that I leave to the professionals. I am all about some good Sangria during the summer months. I like to take a nice sweet to neutral base red and add in a good bit of grand marnier, a splash of OJ, ginger ale, and fresh blackberries and orange slices. Perfection on a hot day. I still need to find a good gin that doesn't remind me of pine sol. I'm not sure how affluent the Beefeater brand is, but it's the only kind I've tasted that I can call palletable. addendum: Tried a different approach to the gin and tonic. The neck tag on Hendrick's gin recommends using cucumber instead of lime. The cucumber is supposed to bring out the essence of cucumber used in the distillation of Hendrick's. Lo and behold an English cucumber was in the fridge. My wife had picked it up for her . . . uh hum . . . salads. Anyhow, I added 3 thin slices to the glass in a layered fashion - one on the bottom, then some ice, another cucumber slice, more ice, another cucumber slice then a little more ice on top, added the gin and Fentiman's Tonic Water and stirred. I have to say, the cucumber adds a surprising cooling effect and it tastes good too. Highly recommended, especially if you're not in the mood for the extra bitterness lime adds to the tonic. August drink of the month is coming soon. I plan to finish my experimentations on the August drink this weekend. Even more daunting than picking a rye whiskey is picking a ginger. There are ginger ales, brews and beers. The drink I just finished and the combo I've liked the best so far is Rittenhouse and Bundaberg Ginger Beer from Australia. Be careful not to drink too fast because this is a great warm weather drink! I think I'm going to experiment by adding a touch of something tart like lemon, orange or orange bitters. Enjoy! If you're going to drink on Sunday morning, it almost always has to be this: Bloody Mary. Slosh mixture back and forth from drinking glass to large glass or plastic cup. Garnish with celery stalk. Sip and enjoy savory goodness. After the ton of ingredients in last month's DotM, it's back to something simple. Bistouille - apparently this one has French or Flanders origins. It's another morning drink more appropriate for a Saturday, I think. You may have tried this or some variation of it. It seems to be a favorite of old timers. 2 tsp. of sugar for brandy or a whiskey; may need only one for sweeter spirits. In fact, I prefer 1 tsp. with brandy. I've found there's no real difference between adding brandy and sugar to your mug first then pouring in the coffee and adding brandy and sugar to the coffee except that a few more stirs are needed with the latter approach. My favorite thing about this drink is the vapors that hit you in the nose and face when you bring the mug to your lips. Just be prepared - don't inhale too deeply. Any brandy drinkers here? I've been using a bottle of E&J VSOP that I picked up to help me get through a cold last winter. I don't know much about brandy and would love to hear your comments and suggestions. I'm late. A lot of stuff has been going on. We've had an election and storms have hit the northeastern US. In honor of our storm-weary friends in the northeast, this month's drink is THE MANHATTAN. The Manhattan is a classic. It has 3 basic ingredients - whiskey, vermouth and bitters. Traditionally, the Manhattan is made with rye, but it can be made with bourbon, other American whiskeys and Canadian whiskey. The standard recipe calls for sweet (aka red) vermouth. A variation called the "perfect" Manhattan has equal parts sweet vermouth and dry (aka white) vermouth. Apparently, the word "perfect" in cocktail speak simply means that both sweet and dry vermouth are used. The concept applies to martinis and other cocktails too. Bitters or aromatic bitters - I can't say much about it except that bitters is generally a combination of alcohol, extract (from orange, for example), herbs and sometimes caramel. The bitters I've used are Angostura which is surprisingly easy to find and is probably in your neighborhood grocery store, Regan's Orange Bitters and Peychaud's. I've heard that the Fee Brothers brand is good. I'll mention here that vermouth should be refrigerated after opening and that it may go bad. I just poured some out last night. If you can find a 375ml bottle, get it instead of the 750ml. Some common brands are Martini and Rossi, Gallo and Noilly Prat. I get Noilly Prat when I can find it. Some folks avoid Gallo, but it seems to be the most readily available. The alcohol content in bitters is so high that it should last a long time (years) in a cabinet. Like whiskey, no worries. You might start by tasting each ingredient separately because the Manhattan, like most cocktails, is all about the right proportions. If you know what's going in it, you may be able to hone the taste to your liking. This drink can be shaken (looks cloudy) or stirred (clear), served with ice or straight. I wanted a frosted glass so I put a rocks glass in the freezer first. The spice of the rye and the bitters worked well together but I thought it needed sweetening so I added a splash of the maraschino cherry juice. Here you could add simple syrup if needed. 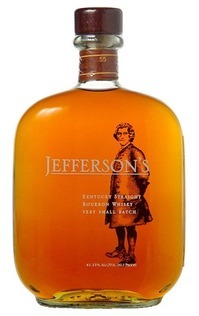 A sweeter rather than spicier whiskey like a bourbon may not need added sweetness. Also, I dropped in two ice cubes. As they melted, the drink seemed to mellow and balance out beautifully. A splash or two of water may have done the same trick. I left work early yesterday to get my grill going before dark. While the coals were starting, I mixed my drink. This cocktail was perfect as a lead to the grilled meat. Next time I go to a steak house with a good bar, I'm ordering a Manhattan while I wait for my beef. For those of you who remember the Orange Julius, this is very reminiscent...but with a kick! Cool! Did you name it? Love the name! Please check in next month. I'm gonna need some help with the December DotM. That dipped their ladle in the punch when this old bowl was new. From "On Lending a Punch-Bowl" - Oliver Wendell Holmes. Here are two egg nogg recipes. The first is from a friend. It appears to be traditional. It calls for raw eggs. There are a lot of cocktails that call for raw eggs or egg whites, but I'm also including a recipe from KegWorks for a faux egg nogg for the raw-egg-squeamish among us. Mix all together and chill. Top with ground nutmeg when serving. I'm not sure how many this serves. You may have to double it to serve more than two. 1. Dissolve sugar in rum, brandy, and vanilla extract in a very large pitcher (at least ¾-gallon capacity). 2. Add milk and freeze until very cold or slushy (4 - 8 hours). 3. Pour into glasses, sprinkle nutmeg over the top and serve. Chill all ingredients then mix first 4 in punch bowl. Add 7-UP or Sprite. Float block of ice in bowl and garnish with fruit slices. Don't forget to eat the fruit after it's had a chance to soak up all that booze. Optional - add red (or other) food coloring as desired for visual effect. But the winner was a bottle of 2009 Anchor Christmas Ale that I found in the back of the beer fridge. I think I'm going to pick up a 6er of this year's Anchor and hold onto it until next year. It aged very well. Also, I mixed up the Easier Than Eggnog Punch and put it in the freezer for tonight. It smells very Christmasy. I'll mix up the Open House Punch about an hour before serving then add the Sprite (and a little Cherry 7-Up) just before serving. This will go well with the Cranberry Meatballs in the crockpot and the Not Your Grandma's Beer and Cheese Dip chillin' in the fridge. Have yourself a boozy little Christmas. Make the Yuletide gay! Tip: Don't forget to sprinkle nutmeg on your egg nog or whiskey-milk punch and drop in a cinnamon stick. It smells just like Santa's a$$. Very Christmasy!!!! This month's drink is Crown and Coke and the recipe is simple. 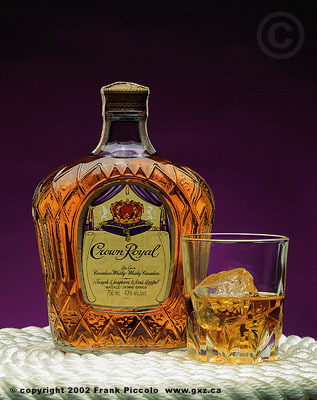 One part Crown, and three part Coke on the rocks. Last edited by Smokey; 01-22-2013 at 11:36 PM. My mother always like rye & coke. 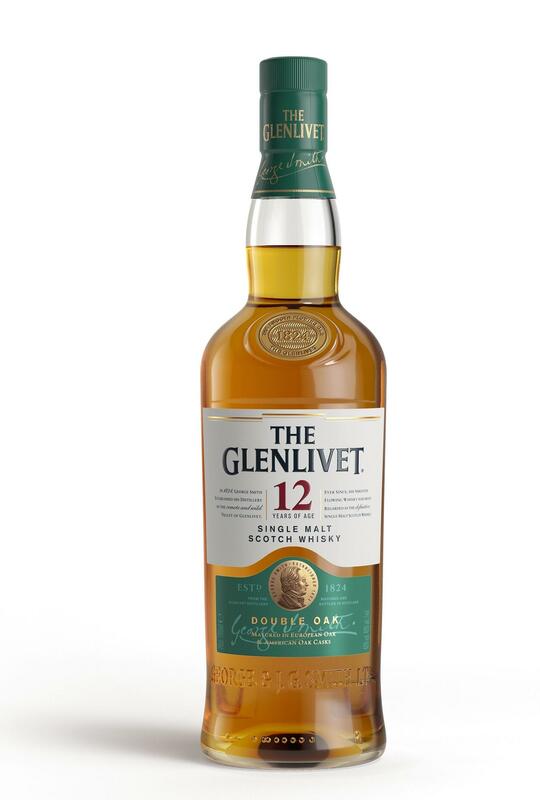 For me it's The Glenlivet. I like it 2:1 with water, sometimes with ice, sometimes not. Last edited by Feanor; 01-23-2013 at 02:19 PM. Thanks, guys! I started the year with the flu and fell behind on everything. Plus, I burned myself out on the Christmas posts. I'm not sure if I want to keep it up every month, but I'd love to see it continue with other contributors. OTOH, I do have some ideas about including non-alcoholic beverages because there are some members who do not drink. For example, I've been picking up 375ml bottles of Sprite bottled in Mexico. Apparently, it has real sugar. Cherry 7-Up is a new favorite as well and Hank's Vanilla (Creme) Soda is very good. Dean, I like real sugar soft drinks too. Several restaurants here in the Twin Cities serve them and you can buy them at several of the mexican markets here in town. Coke with real sugar is my fav. If you ever see these soda's in the supermarket give them a try. They were started by a couple of guys here in MN. I like the Lime, Hibiscus and Clove soda. There is a local upscale restaurant that uses these soda's to make fantastic cocktails. Cool, BR. I'll be on the lookout. I used to order a case of Dr. Pepper from the Dublin, TX Dr. Pepper plant for my son's birthday party each year. They used real cane sugar. It was good stuff. They stopped making Dr. Pepper a couple of years ago and now make their own Dublin Bottle Works sodas with real cane sugar. I haven't tried any of those yet. I will seek the opportunity. Overtime I've transited from Oban to Balvenie to Dalwhinnie, with a short side trip to smokey and complex Caol Ila. But now, in the scotch dept. 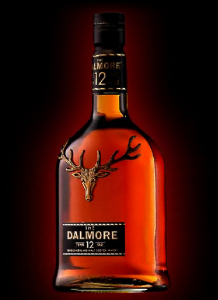 I'm a Dalmore guy and recommend giving it a try. Nice roundness to it, a hint of citrus and spice on the finish. Typically a touch lighter on the budget than the other names but that seems to be changing lately. However, I decided to buy American for a while. Got a taste for mint juleps (Knob Creek) this hot summer and with winter decided to explore Bourbons. Here's my current winner taken neat or with ice. 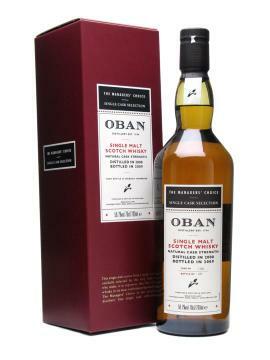 Currently preferring it to my scotches.